President Muhammadu Buhari is counting on support from China to build the 3050 Megawatts Mambila Hydropower Project. According to the Presidency, the President won the crucial support of his Chinese counterpart, Xi Jinping, in Beijing on Wednesday. The President sought the support of the Chinese President for the project while commending him and his government for successfully hosting the Forum on China-Africa Cooperation (FOCAC) and for the growing relationship between both countries. 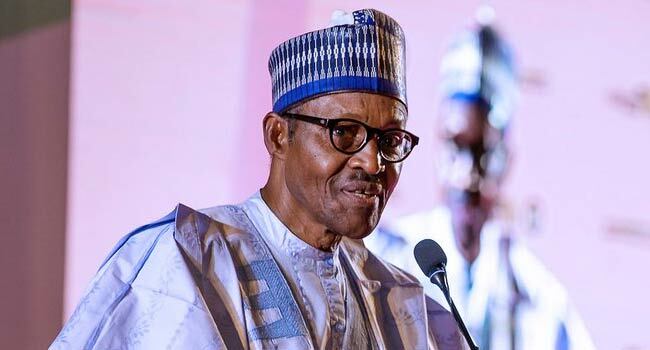 “I would like to once again solicit your support for the Mambilla Hydropower Project which remains a key priority for my government,” President Buhari was quoted as saying in a statement by his Senior Special Assistant on Media and Publicity, Mr Garba Shehu. President Buhari who explained that Nigeria’s submission on the project was being assessed by Chinese agencies is hopeful that the process would be fast-tracked. “We hope, with your kind intervention, this assessment will be expedited. Your Excellency, Mambilla is Nigeria’s equivalent of the three gorges dam. My wish is that you join me for the ground-breaking ceremony of this project in the not too distant future,” he said. In response, the Chinese President promised to ensure the project succeeds. “We understand how critical the project is to your country and we will take a serious look at it and ensure that it succeeds because of its social and economic benefits,” he said. President Buhari’s request follows the $328m agreement Nigeria and China signed for the Information and Communication Technology Infrastructure Backbone Phase II (NICTIB II) project. The concessional loan agreement between Galaxy Backbone Limited and Huawei Technologies Limited (HUAWEI) was signed by Nigeria’s Minister of Finance, Kemi Adesoun, and the Director-General, International Development Agency Wang Xiaotoa, in the presence of President Buhari and Xi Jinping. The OBOR is an initiative of Xi which focuses on improving connectivity and cooperation among multiple countries spread across the continents of Asia, Africa and Europe. While speaking about the growing relationship between both countries, President Buhari also thanked China for accepting to support the international efforts to recharge Lake Chad. “The inclusion of this project in the FOCAC Action Plan 2019 to 2021 will go a long way in supporting our efforts to rehabilitate and resettle the conflict-impacted North East region,” he said. Before his meeting with Xi, President Buhari met with Nigerian students and entrepreneurs in China as well as Chinese students who were learning Nigerian languages. He told Xi he was “very pleased” with his interactions and called for more to be done to foster people-to-people relationships in both countries. “We must continue to support such exchange programmes to enhance our people-to-people contacts,” he said. According to him, the easy movement of citizens of both countries would complement the currency swap agreements between both countries. “Since our last meeting two years ago, Nigeria has relaxed its visa requirements to Chinese citizens. Today, I am pleased to inform Your Excellency that Chinese citizens receive Nigerian visas in less than 48 hours,” President Buhari told Xi. In terms of security, the Chinese President commended Nigeria’s fight against terrorism and the progress that has been made so far. He promised China’s support in capacity building and intelligence sharing and pledged 50 million Chinese Yuan support to Nigeria’s military.